Most pangas below are 23' boats that are priced to 2 persons for $35/hour. There's a 5 hour minimum. 3 are permitted via the port captain's office, typically at a $5/hour extra charge. 25' boats are $40-45/hour up to 3 persons, a 4th could be considered if not adult at $5/hour extra charge. 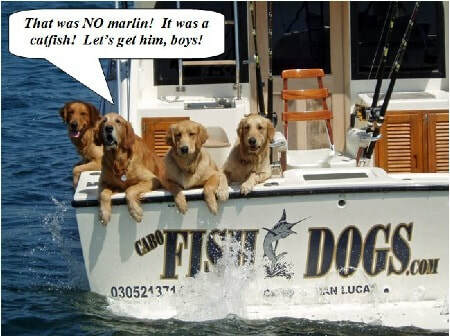 *Prices include boat, fuel, equipment, tackle & ice. ​*Not included in price would be licenses, live bait, lunches or drinks, and a tip is always appreciated and I'd go as far to say expected unless you have a poor day and the captain does not work hard/treat you well. ​The gratuity is your option. If you have any questions about tips or anything else please contact us. Typical tip is 15-20% of boat price. ***Mouse over the boats below & click "Play" to start a slide show of any boat. Thought it better than having all boats moving at once! Don't want it looking like a tournament shotgun start. 1 boat moving at a time is enough. Cheers panga - 23', Honda 90hp 4 stroke motor. $35/hr; 5 hr minimum. This is Ramon's boat which many recommend. Cheers panga has a front fighting chair, GPS, no head. Cheers panga is often requested. Santi 1 panga - 23', Suzuki 115hp 4 stroke motor. Captain Victor Saizar's boat. Equiped with an actual "head"/toilet, outriggers & a fish finder, along with all the other equipment. Anamar II panga - 24', with Yamaha 115hp, 4 stroke motor. 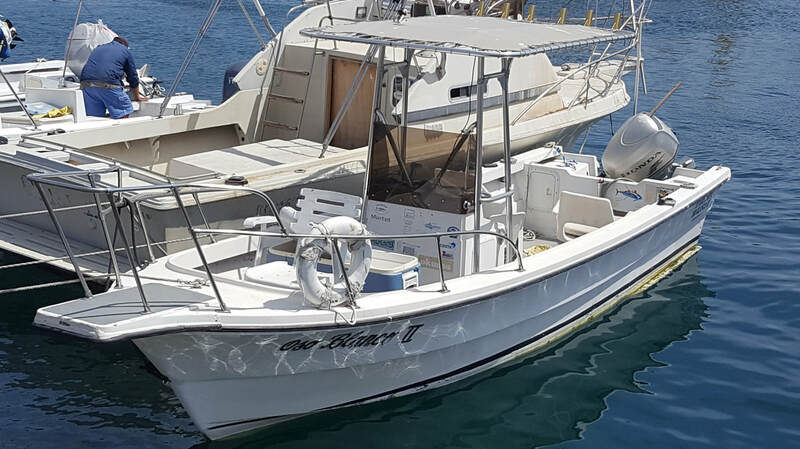 Boat has 4 tuna tubes, outriggers, head (toilet), GPS & fish finder. Boat is on east side of marina. Sergio runs this boat and has 3 total. He tell me that everyone else books this boat at $50/hr. Salsa panga - 23', 70hp motor, 4 stroke motor. Boat has outriggers, front fighting chair, twin rear fishing seats & GPS. Captain on this boat is very good/well known. Silvia 1 Super panga - 25', Suzuki XXhp 4 stroke motor. Diablo Loco Super panga - 25', New 115hp Suzuki 4 stroke motor. Has outriggers, GPS, fighting chair, on this larger panga. ​$40/hr; 5 hr minimum. Tres Amigos Super panga - 26', twin Suzuki 115hp 4 stroke. 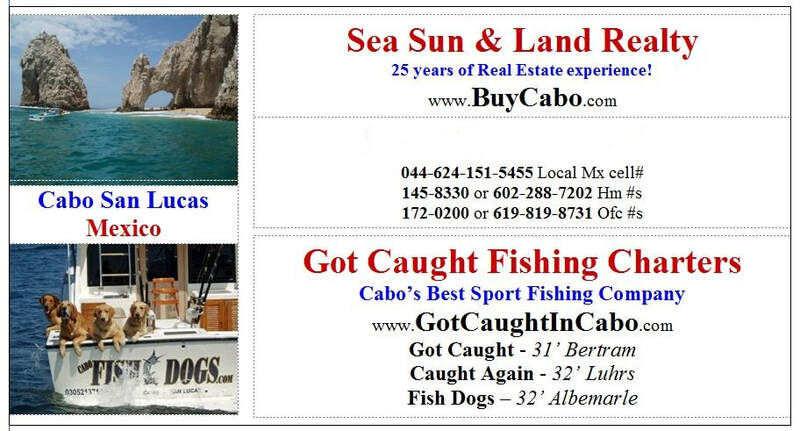 Francisco is the captain & owner, a well sought after guide and boat. Prices to be listed shortly. Karina panga - 23', Honda XXhp 4 stroke motor. Samantha panga - 23', Suzuki 70hp 4 stoke motor. $35/hr; 5 hr minimum.​​ Boat has outriggers, fish finder & GPS, 2 tuna tubes, & 2 fighting chairs (1 front & 1 back of boat). Serigo's brother Jose is the Captain. Sergio has 3 boats on the site. Anamar and Anamar II round out the 3. These boats are on the east side of marina at Fundadores Dock. Marina 1 panga - 23', Suzuki 90hp 4 stroke motor. Front fighting chair, nice equipment. Captain Tony R. does a very good job. Anamar panga - 23', Honda 90hp 4 stroke motor. The 2nd boat of Sergio, along with Samantha. Has a head (toilet), outriggers, 1 fighting chair, but no GPS or fish finder, which most pangas don't have fish finders. Captain is Miguel. These boats are on the east side of marina. Nicole panga - 23', XXhp 4 stroke motor. Loco Gringo Super panga - 28', twin 90hp Honda 4 stroke motors. The equipment, tackle & full electronics makes this boat successful. ​$310 for 8 hrs or $260 for 5 hrs. Oso Blanco II panga - 23', Honda 90hp 4 stroke motor. Karen panga - 23', 4 stroke motor. Tres Marlins panga - 23', Suzuki 115hp, 4 stroke engine. Boat has outriggers, fish finder & GPS, dual fighting chairs (front/back of boat) and a head! Coolers for your catch, shade from sun & a great captain. ***More pangas will be listed as info is given to us.